Currently in release candidate 2 stage, WordPress 4.5 looks very promising for both end-users and developers. As the release candidate 2 has been rolled out already, no more new features will be added until the final release. It is also possible that some features will not make it into the final release of WordPress 4.5. A great tool for developers and administrators, is the responsive preview customizer. With just a mouse click, you can test the appearance of your WordPress theme in several devices (mobile, tablet and desktop). This is a huge time saver if you are browsing for WordPress themes and want to know how they look in different devices. Adopted from the WordPress Jetpack plugin, theme logo support is a welcome addition to quickly add a logo to your website. Actually, I’ve always been surprised that this feature wasn’t built in earlier, but I guess most themes offered their own solution to cover this. One of the benefits of logo support is that you will be able to upload a logo via the WordPress customizer and use it throughout all your themes. Before we had to manually upload or select the logo after changing the theme. If all goes well, the final WordPress 4.5 edition will include a new “Twenty Sixteen” theme version with support of the new logo customizer. With this example, you will be able to copy the code over to your theme. Within the current WordPress setup, adding or editing a link in your editor is done through a popup window. To streamline this better, the WordPress 4.5 edition will offer inline link editing. So no more popup window, whoohoo! Additional editor shortcuts allow you to quickly format your text. Instead of selecting the text and clicking on the format button, you can now format your text with just a few clicks on the keyboard. We learned that the shortcuts for bold and italic formatting will not be included (yet) in the final WordPress 4.5 edition. WordPress will send out an email if a new comment has been added to an article. This email consists of one massive text block where all formatting has been swiped. It seems like with WordPress 4.5 you will be presented with a much cleaner looking email. A very welcome new feature to reduce the loading time of your website, is the improved image generator. With a smarter way of optimizing images, it can reduce your images by 50% without much loss of quality. the future will learn if the image generator can completely rule out having to deal with third party image tools, but it is good to see that this feature got some attention as well. The “Paste as Text” modal warning with an explanation displays every time the button is clicked. Although this feature can be helpful in the beginning, it can become annoying after using it a couple of times. Plans are to switch the model warning off on a per user basis. As Twitter moved its preferred oEmbed URL for single tweets to publish.twitter.com, WordPress 4.5 will include this update. The XML response format will be removed. Switching over from http:// to https:// results in images not being loaded over https:// (mixed content). Some images were not displayed on the website and all kinds of mixed content warnings started to pop up. The plan is to fix this in the forthcoming WordPress 4.5 version. Apart from these visible improvements, WordPress 4.5 includes hundreds of code improvements and bug fixes. They also put in a lot of attention into developer related improvements, such as selective refresh, embed templates, new WP_site class and Script Loader. With all these new features and improvements, I am very excited to see WordPress 4.5 coming out. It seems that a lot of attention is going towards responsive web design and overall website performance. With this update, WordPress proves to be on top of things yet again. The release date is somewhere in the second week of April 2016! 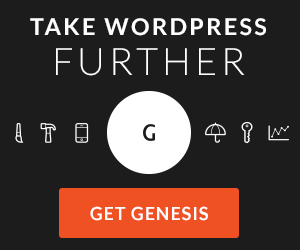 I am curious about what you have to say about the new edition of WordPress.